The reader has cause to doubt a great many things of the world. But the reader should NEVER for a second doubt that God is in complete control of the world he created. Satan may make it appear for a short while that MAN is in control of end times events. But man is NOT in control. Satan is not in control. 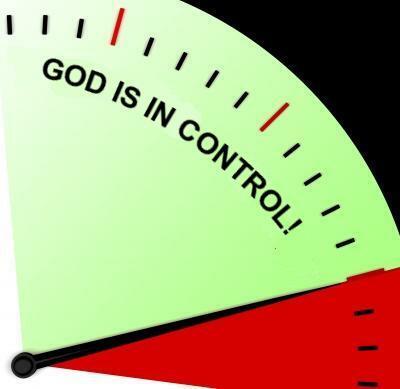 Only GOD is in control. Man is in a season where he believes himself to be master of all he surveys. Man is hopelessly deceived. Deceived by the many daily deceptions he feeds upon; deceived by his fallen nature; deceived by his vanity and desire to BE SOMEBODY. Which is one of the reasons why the end times will play out as they will. Only by great power and might shall the majesty and glory of God Almighty be established among men forever. DOES the reader believe an unseen force is in control of life? DOES the reader believe this unseen force can be explained by the stories of science and culture?